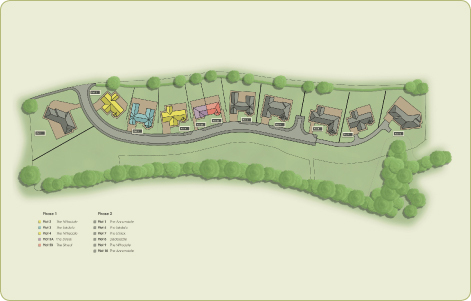 Every stage of the construction is personally supervised by a director of Hartfell Homes the builders, to give exceptional attention to detail and quality resulting in a superb home with the highest degree of insulation, comfort, amenity and value for money. Master bedrooms have en-suite facilities and kitchens are fully fitted complete with dishwasher, fridge freezer, oven and hob. Our houses are all NHBC registered and we use local tradesmen who pride themselves in their craftsmanship. 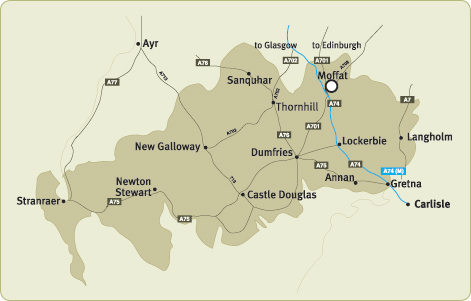 Please contact us to arrange a site visit to choose your new house and home in Moffat, Dumfries and Galloway. The location, quality and price of these houses combine to offer any new house purchaser, unrepeatable value. Moffat in Dumfries and Galloway is a small town of approximately 2200 people located just 2 miles off the M74 motorway at junction 15. It is ideally located to access Glasgow, 50 miles, Edinburgh 52 miles, and Carlisle 40 miles, along with local Dumfries 25 miles. It affords country style living close to major cities.